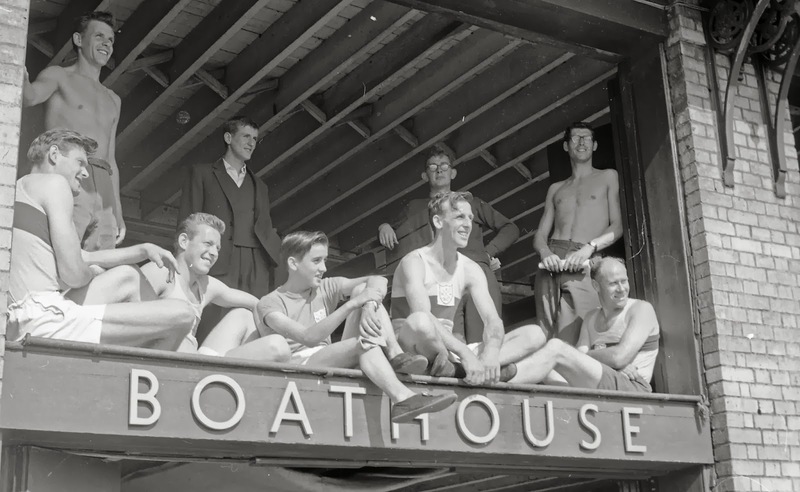 I was curious about what club these men are from, as the crest on one shirt seems to say NPW RC (or perhaps PNW depending on how you read it). 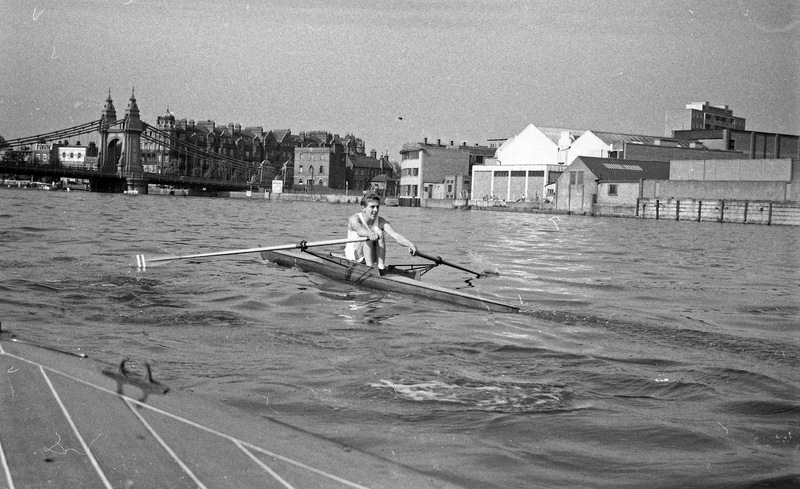 Colin suggested that it could be an amalgam of Westminster and National Provincial Bank’s rowing clubs, although these shots are from 1957, long before they merged in the late 1960s, so we’re not at all sure. There is a real 1950s touch to these pictures, don’t you think? Another interesting thing with these ‘vintage’ photographs is the photographer who shot them: Alisdair Macdonald (1940-2007). 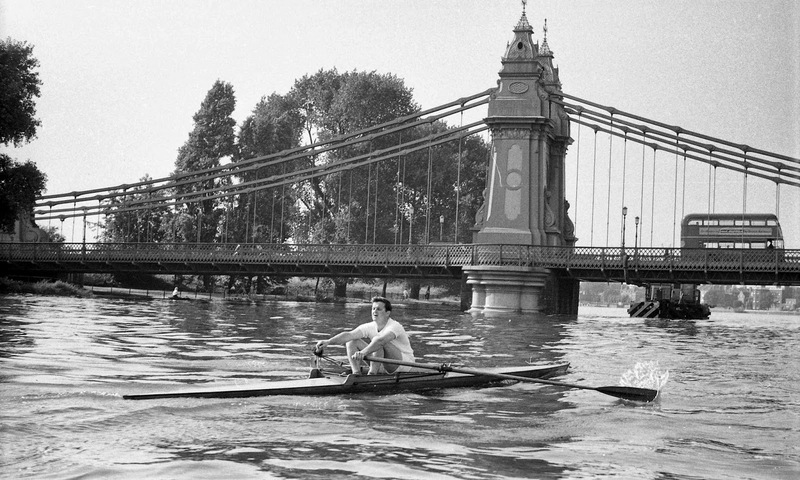 The name might not ring a bell for many of you, but if you lived in London during the 1960s, 1970s, 1980s and on, you are very likely to have seen some of Macdonald’s photographs in the tabloids. How about the famous ‘balcony kiss’ between the newly-wed Prince Charles and Princess Diana at Buckingham Palace, Alisdair Macdonald – or Ali Mac, as he was also called at newspapers in Fleet Street – shot that. 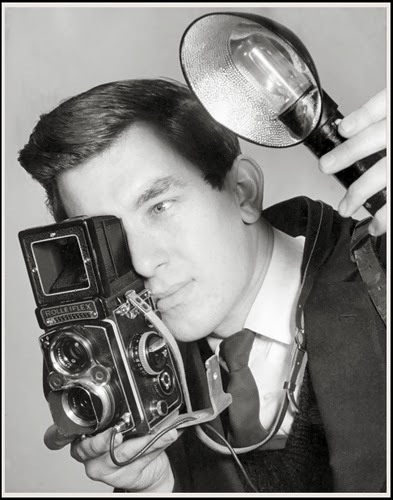 He also took pictures of that time’s celebrities, The Beatles and Michael Caine, for example, and sport pictures. By 1960, he was employed by the Daily Mirror, and then he made a seven-year stint at the new Today newspaper, which was all in colour, and later worked for the Daily Mail. In 2004, Macdonald began as a freelance photographer. Read what the Mirror wrote about him just after he died, here, and a blog at Reuters, here. 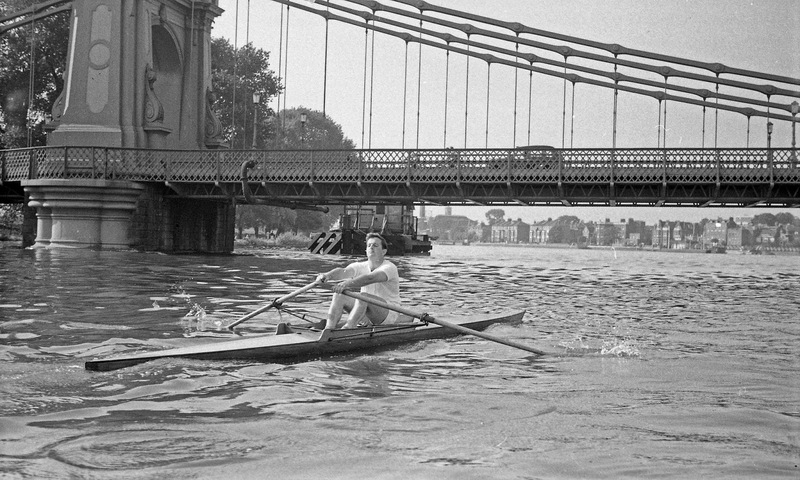 There were 4 National Provincial Bank Crews entered in the 1957 Head of the River Race. 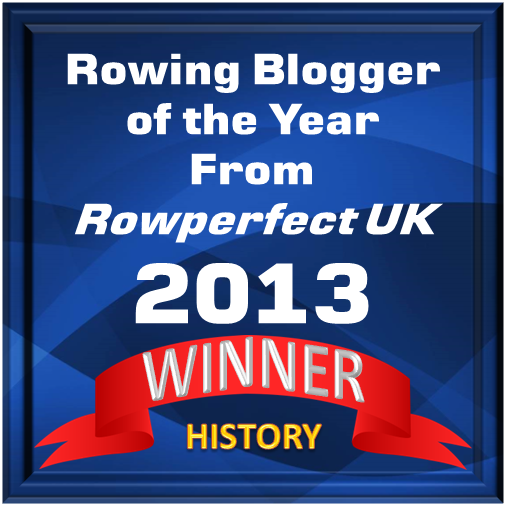 There were 280 teams entered and 269 placed. 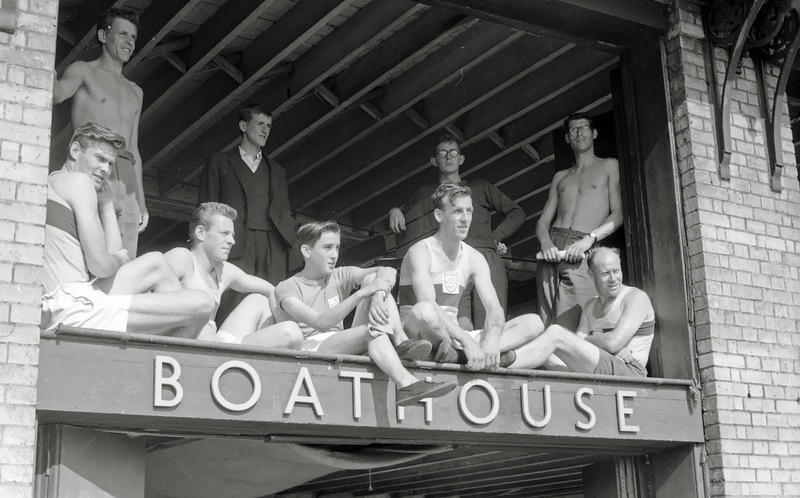 Since NPB operated in England and Wales, there may have been a crew from Wales called the National Provincial Wales Rowing Club, or perhaps the NP West RC (4 crews, each with a cardinal compass point as separating NPB crew designators).